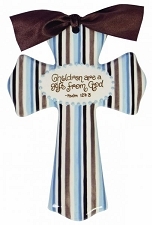 These hand painted crosses make the perfect gift for Christening, Baptism, Baby Shower, House Warming, or other occasion. 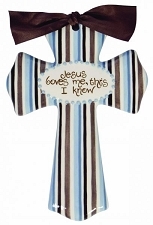 Crosses are 8” inches tall and include a satin or organza ribbon. Lead-free paints and glazes.